How to automate the scanning process? 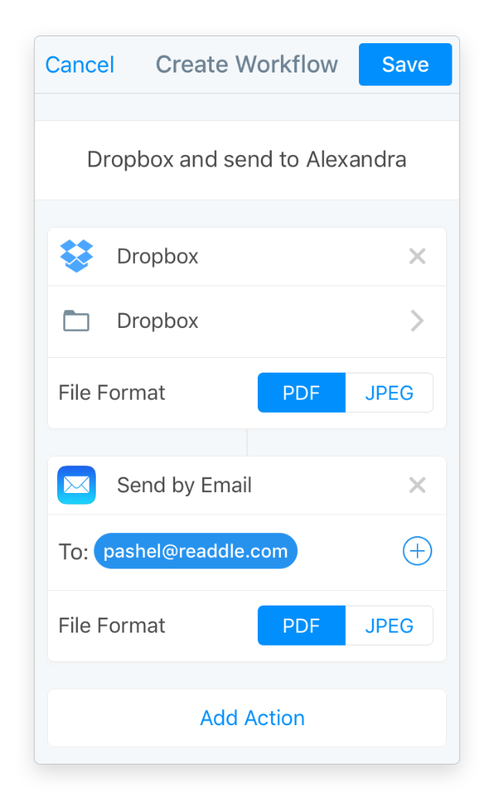 Save time on doing routine actions, like uploading a new scan or sending it to someone every single time. Scanner Pro will automate that for you with its super smart Workflows feature. Workflows is the powerful automation tool that was introduced in Scanner Pro 7 and allows you creating a list of actions that would be automatically applied to scanned documents.